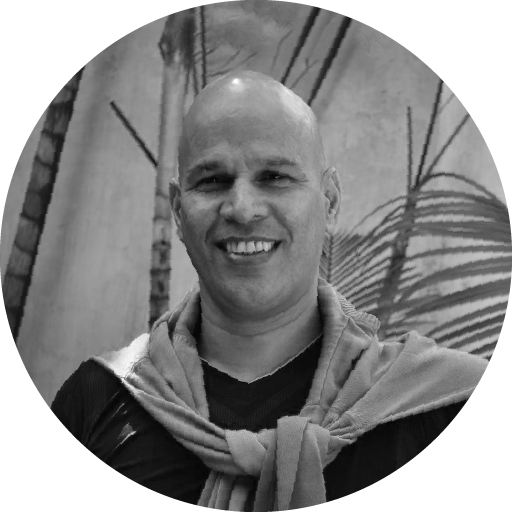 Jayachandran Palazhy is the Founder and Artistic Director of the Attakkalari Centre for Movement Arts. He is an internationally sought-after dancer and choreographer. His work is at the forefront of the contemporary Indian movement arts scene. Jayachandran graduated in Physics from Kerala. His training started in India with Bharatanatyam, Kathakali, Indian folk dances and the martial art form of Kalarippayattu. Moving to London, where he lived for 15 years, Jayachandran trained at the prestigious London Contemporary Dance School and studied Classical Ballet, Tai Chi, Capoeira and African Dance. He established the Imlata Dance Company (supported by Arts Council of England and several UK based national dance agencies). He received the Barclays New Stage Award for innovative work during his time in London. Jayachandran’s collaborations with international artists involving digital arts and interactive technology have resulted in exciting multimedia dance productions. City Maps, TransAvatar, Purushartha, Chronotopia, For Pina… and MeiDhwani have received widespread critical acclaim and toured extensively internationally and within India. Jayachandran has also undertaken research projects. At Attakkalari Jayachandran has directed an exhaustive research and documentation project NAGARIKA – on the movement principles of Indian physical traditions. This seminal research series is the first such initiative in India in the field of traditional performing arts. He has also worked on the ‘Role of Interactive Technology and Telematics in Performance’ as part of a collaborative project at the Arizona State University. Jayachandran works as a consultant in different parts of the world. He has led several artistic residencies, presented papers and delivered lecture demonstrations on a range of allied subjects related to movement arts.